1824: Romantic poet Lord Byron dies in Greece attempting to aid insurgents fighting against the Ottoman Empire. 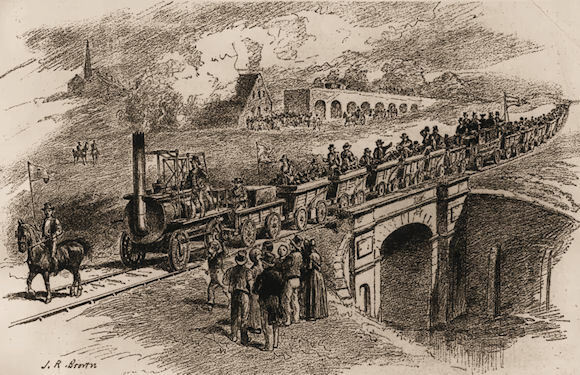 The opening of the world's first railroad, Britain's Stockton and Darlington, helped launch industrial based economic growth unprecedented in human history; more industry, machines, and personal wealth followed. Workers needed for the new factories accelerated an epochal migration to cities from farms in ever increasing numbers. Seething, dynamic mega-cities proved much harder to control politically than the smaller, more dispersed populations of feudal days. 1825: Decembrist Revolt in Russia, initiated by idealistic officers is crushed, resulting in increased revolutionary activity by educated elites and increased secret policing of the population. 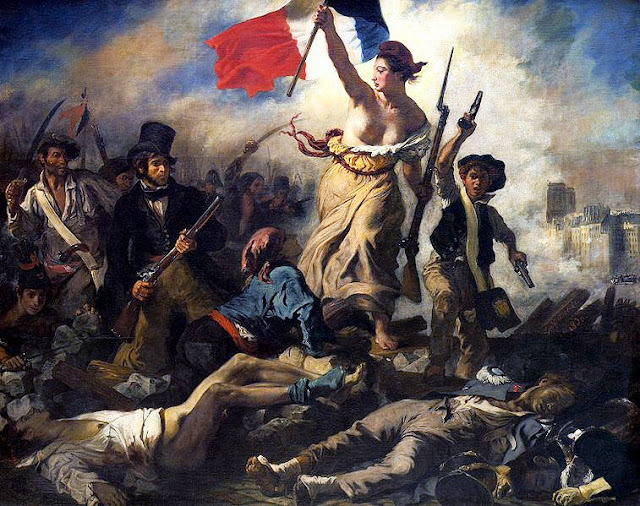 By 1830 a range of dissenters throughout Europe—from the elite intellectuals to street ruffians—inspired by fond memories of the French Revolution, were ready to return to the barricades. Fittingly a next revolutionary movement broke out in France, triggered by several severe freedom-limiting ordinances of King Charles X. Strikes and protests were followed by armed confrontations, which the army was unable to contain. Charles abdicated. Several liberalizing reforms followed and, notably, the Tricolor replaced the white flag of the Bourbons. The turmoil and modest successes of the events in France inspired elites throughout Europe to call for their own peoples to rebel. Two future Great War combatants gained their independence. Greece, which had been fighting for a decade, was recognized by the European powers as an independent state, and Belgium declared its independence from the Netherlands, winning the guarantee of that independence, which would be honored in 1914. Poles who challenged the tsar, however, were crushed, and the fireworks fizzled in Italy and Prussia. The advocates of change, overall, however, were disappointed, but they would bide their time for another opportunity for revolution. It came a generation later. Every time France sneezes Europe has a cold. Another series of revolutions challenging the Old Order broke out in Europe in 1848. This proved much more alarming to the established leadership, especially the old monarchies. Begun in Sicily, it spread to France, Germany, Italy, and the Austrian Empire. In France, King Louis Philippe was overthrown and replaced by the Third Republic. 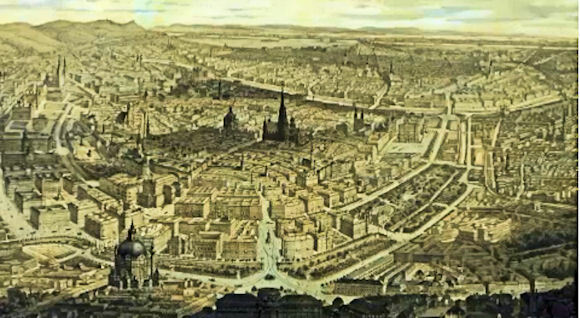 Elsewhere the rebellions all ended in failure, put down forcibly in some cases, in others ended by moderates who won some modest reforms, such as the short-lived Frankfurt Parliament. The liberalizers and revolutionaries were once again discouraged at failing to overturn the Old Order. 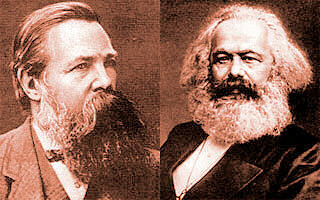 Marx and Engels were inspired to write The Communist Manifesto. We have been beaten and humiliated . . . scattered, imprisoned, disarmed and gagged. The fate of European democracy has slipped from our hands. One fact is common to all past ages, namely, the exploitation of one part of society by another. I'm enjoying this series. Please keep going! As above , this is very interesting and would like to see it continued. Thank you. "Fittingly a next revolutionary movement broke out in France, triggered by several severe freedom-limiting ordinances of King Charles X. Strikes and protests were followed by armed confrontations, which the army was unable to contain. Charles abdicated." Has anyone seen the news lately? Who Was Capt. W.H. Burrell?